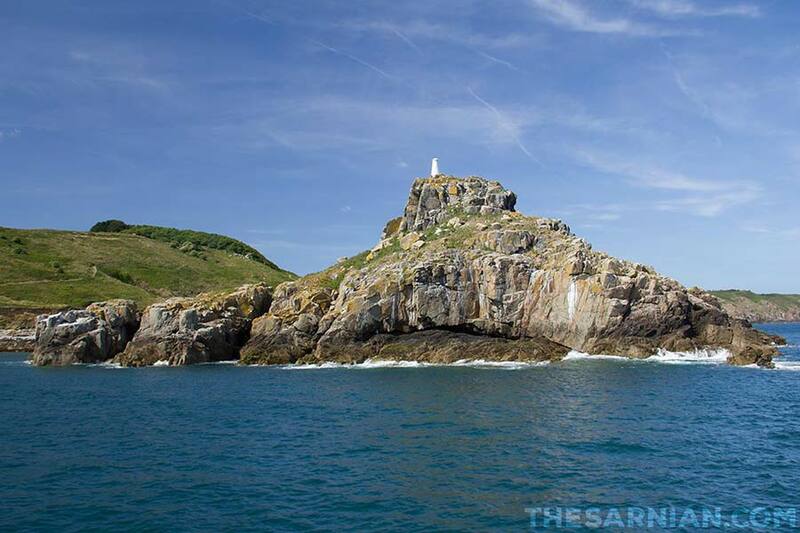 Jethou is one of the smallest Channel Islands — smaller, even, than Herm, to which it was said to have been attached until a particularly stormy night in 709 saw the land between the two swept away to create two distinct islands. It is the smallest if the islands to be permanently inhabited. It is clearly visible from Guernsey’s east coast. Like its close neighbour, it has been leased to a series of tenants over the years, some of whom have leased the two simultaneously. Notably this was the case with Scottish novelist Compton Mackenzie. The island is surrounded by smaller islets, including Fauconniere (‘the falconry’) to the south and Crevichon to the north. Crevichon is the larger of the two, with a ruin on it, and was the site of carnage during the Second World War when a German Heinkle III bomber crashed there. There is some uncertainty as to whether the crash was caused by an engine fire or the plane was shot down by German artillery stationed on Brehon Tower, after mistaking it for an Allied craft. The crash caused some damage to the main house on Jethou, and a neighbouring cottage was completely destroyed. Debris was still being found on the beaches in the 1960s. Jethou is conical in shape, with a steep hill to the summit, where a gallows site was used to hang pirates. There’s a small collection of buildings on the north east shore, facing Herm, including a manor house, store house, prison, cafe and gift shop. There is also a small pub — now private — called the Admiral Restald, one of the island’s earliest tenants. Jethou is said to have been a centre of smuggling and piracy over the centuries, much of it focused on the Great Creux, a cave that is only accessible at very low tide. There was a gibbet on the top of the island on which pirates used to be executed. Further gallows were later erected close to the harbour. The trade was seemingly successful, as many years later, when removing wallpaper from the manor house on the island, one later tenant discovered that they had been simultaneously stripping banknotes, which had been pasted to the wall beneath the paper so as to hide them. By the time they realised what they were doing, only four notes remained. Sir Crompton Mackenzie, tenant of Jethou between 1920 and 1934, wrote that Guernsey used to burn its witches on Jethou at the time of the witch trials. There is some speculation that the name Jethou is derived of the Viking name Keitholm, which itself comes from Keithou, or island place or roaring. The BBC speculates in its history of Jethou that this could have been due to ‘the noise of air being forced through the passage into the Creux du Diable’. …if you continue on the lower path, a further 80 yards [from the turn to Fairy Wood] will bring you to the Creux du Diable (Devil’s Hole), a natural formation in the shape of a funnel-like hole about 100 feet in depth, breached by the sea at the bottom through an archway of rock. At high water spring-tide, the sea enters the bottom of the hole and frequently, during the winter, leaves driftwood on the little beach within. Jethou is home to many puffins, which can be viewed from a point on the eastern shore, between Puffin Bay and Neptune’s Chair. They are protected by law and nest in holes in the cliff. Apart from the birds, there is very little wildlife on the island, although it does have a healthy population of rabbits, perhaps as a result of them being introduced to the island for the purpose of breeding. There are many trees on the island, with a small wooded area climbing the slope, and fruit trees closer to the lower path that surrounds the island. There is considerable scented heather and, in the lower areas, gorse grows close to the beaches. Bluebells and primroses grow in the middle of Fairy Wood. Campion grows on the western half of the island. Below the summit of the island, there are terraces on the south side, where they face the sun. These are said to be 1000 years old and were once used to grow vines. Religion has played a large part in the history of the island, as it was owned by the Monastery of Mont St Michel for close to 350 years, and leased to tenants during that time. However, as on Herm, there is evidence of even earlier religious activities, with neolithic remains in evidence. This is unsurprising considering the two islands were once a single landmass. A guidebook produced by the Faeds during their tenancy on the island states that ‘the standing stone at the entrance [to Fairy] Wood has a hole that was said to line up with another long lost stone on Herm in the time of the druids. A 4000-year old standing stone on the summit of the island has been inscribed with a cross, while archaeologist Dr Jenny Cataroche, author of The History and Archaeology of Jethou has judged rocks on the eastern face of the island to have once been part of a medieval church. Jethou is governed by Guernsey’s States of Deliberation where it is represented in the chamber by the deputy for the St Peter Port South district. 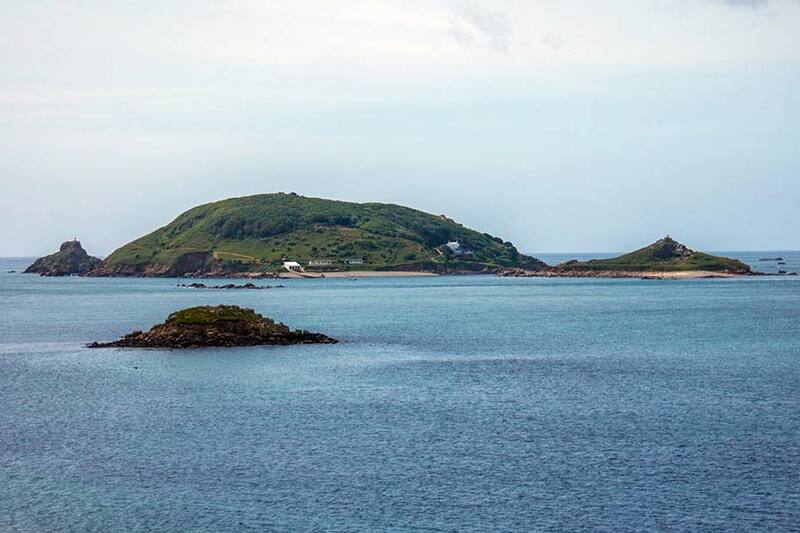 Like Herm, it’s been looked after by a series of tenants, but without the stipulation that it should be maintained for the enjoyment of all comers it’s not always been possible for the public to gain access to the island. It is currently closed to the general public. The Admiral was given the islands by the Duke of Normandy. When he retired he passed it on to the Monastery of Mont St Michel but continued to live in a house there. Guillaume (French for William) was awarded tenancy of the island in 1158, which he maintained until he died and it passed back to the monastery. Granted the right to keep rabbits on the island, which the BBC claims is the reason for the island having such a large rabbit population to the present day. The island once again passed back to religious orders on his death, this time to the Abbot of the Vale Priory, while remaining under the control of the Monastery of Mont St Michel. This remained the case until Henry V shut down the French monasteries in his dispute with France, although it is suggested that monks continued to live on the island nonetheless for the next century. Following a long period during which the island was officially uninhabited, the lease was taken up by Charles Nowall, who rented both it and Herm at the same time. Charles Mackenzie later rented the two islands together, despite the fact that regulations state that should not be allowed. There is a mulberry tree still growing in Jethou, which the guide produced by Susan Faed asserts was planted during Nowall’s tenancy. Mauger held the tenancy of the island until his death, when it passed to his sons in law and their wives. Father and son, who were tenants one after the other, with the latter Henry de Jersey taking over upon his father’s death. Former privateer and freelance ‘pirate’. Privateers were armed seamen who were licensed by the Crown to seize enemy ships. They were funded by investors who shared the profits of the cargo seized from the vessels, and the value of the vessels themselves. Privateering came to an end around Guernsey prior to Allaire’s residency on Jethou, when hostilities with France came to an end in 1815. Allaire loaned money to the seigneurs of Sark, the Le Pelley family, when silver had been found on Sark. The family was unable to repay the loan when it became due in 1852, and so Allaire’s daughter became the seigneur of Sark herself. Allaire’s home in St Peter Port, Mount Durant, is now the official home of the monarch’s representative on the island, the Lieutenant Governor of Guernsey. The States of Guernsey took over the island and quarried it for granite for four years. This considerably changed its overall shape, and apparently so altered the wind flow around the rock that it lost some of the characteristic sounds caused by the passage of air through the Creux du Diable. Although the States of Guernsey re-let the island, the Queen retained the rights to quarry it, and the Lieutenant Governor of Guernsey was allowed to shoot rabbits there. Fielden was probably the first notable tenant of Jethou (and simultaneously Herm) to leave much of a mark on the island. He suggested that a floating causeway be built connecting Jethou and Herm to replace the strip of land that once connected them and was washed away by a storm in 709. It was never built (and still hasn’t been) despite the States of Guernsey giving permission at the time. This is probably a good thing as it might not have been able to withstand the fierce tidal flows. He was later discovered to be smuggling brandy and stowing it in the island storehouse, which explained why he would have his servants shoot at passing vessels to scare them away. His tenancy was revoked as a result. Austin Lee was a diplomat and governor. He took over the lease on the island following a period during which it was put in the hands of a series of caretakers and, when he departed at the end of the First World War, it was again handed over to caretakers for two years until Scottish novelist Sir Compton Mackenzie arrived. Towards the end of his tenancy he sublet the island to FJ Guy while Lee himself was away fighting in the Boer War. Guy didn’t want to give up his sub-tenancy on Lee’s return and the two found themselves in court. Lee won, but never returned to the island himself as by then he was stationed at the British Embassy in Paris. Drillot was merely a caretaker, rather than tenant on the island. We met up again with [Jethou’s housekeeper] Annie at Sir Compton McKenzie’s writing hut, the tiny wooden structure with its pretty, flowered patio. Designed to cut out all distractions from his work, the hut contains only a desk, two chairs, a teapot and two cups. The patio, however, offers a gorgeous, uninterrupted view of Guernsey. Mackenzie gave up the lease of Herm in 1923 due to the prohibitive cost of maintaining both islands, but held on to Jethou until 1934, during which time he installed a sewerage system and extended the main house. When Mackenzie left the island he sold the remaining part of his lease to Fortington, an American, for the sum of £2020, but Fortington didn’t remain resident on the island for long. He and his wife left four years later, having build a reservoir in the interim, but retained the lease and allowed George MacDonald to stay behind. They remained on the island almost until the end of the Second World War, but were forced to move to Herm in 1944. Harold Fortington died that same year, and his wife sold the lease four years later. Withycombe was the first tenant to open the island to the general public, running a small restaurant and bar by the shore. However, he seemingly paid little attention to the terms of his license, and was raided by Guernsey Police in 1954 for serving alcohol outside of hours. The Cliffs were the first tenants to produce a set of Jethou stamps, with five examples printed in 1960, each showing scenes of the island, and valued at 1.5 pence, 4 pence, 6 pence, 9 pence and 18 pence. The island continued issuing stamps until 1969. Susan Faed, her husband, Angus, and four children, Colin, Erik, Colette and Amanda, did much to improve the island, building a stone jetty and cultivating much of the land to grow potatoes, broccoli and daffodils. Upon leaving in December 1971, they returned to Jersey. The Faeds produced an excellent guide to the history of Jethou for visitors to the island. Hayward was an entrepreneur with factories in the UK, Netherlands, West Germany, South Africa and Australia, and head of a foundation — the Hayward Foundation — that donated money to good causes and built a home for the elderly in Wolverhampton, where Hayward was born. He acquired the lease to Jethou with his wife, Hilda (nee Arnold) and the couple lived there until Charles died. Peter Ogden founded Computacenter, an IT services company, after years spent working in investment banking. He took over the lease on the island in 1991, and in 1995 became a sub-tenant of the States of Guernsey. Jethou appears in The Sarnian, the explosive adventure series in which the discovery of a dead body on one of Guernsey's most secluded beaches blows the lid on a world of intrigue and deceit. 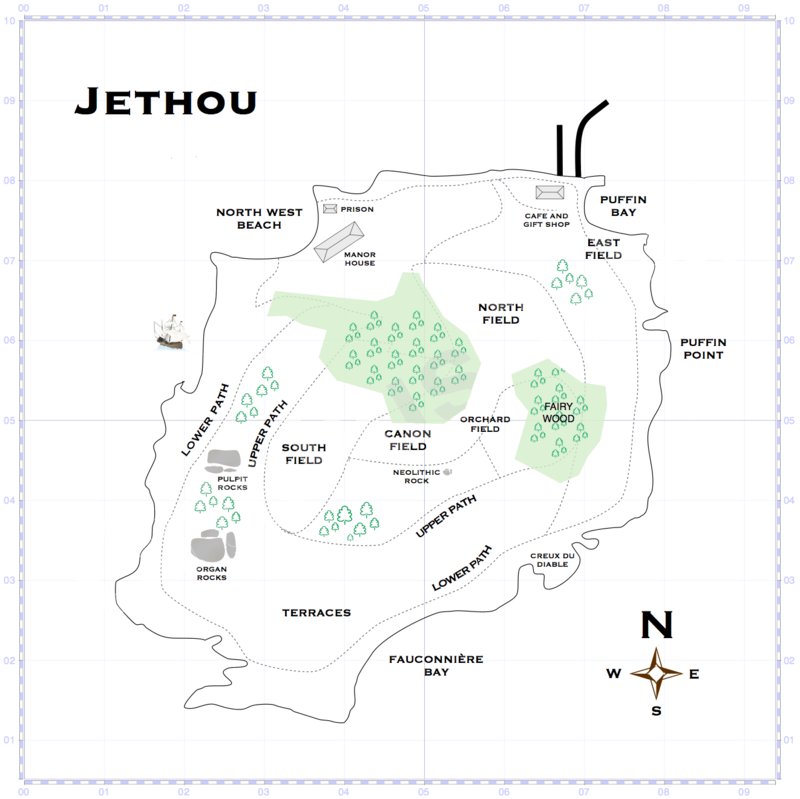 One of the smaller islands of the Bailiwick of Guernsey, Jethou was once part of Herm but separated from it when the land between the two was swept away in a storm. It’s round and conical and not generally open to the public. 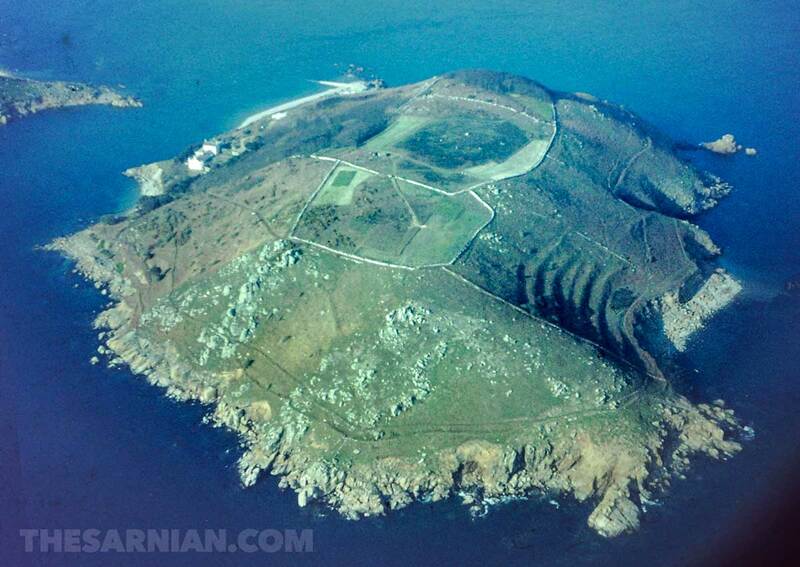 It’s leased in much the same way as Herm itself.